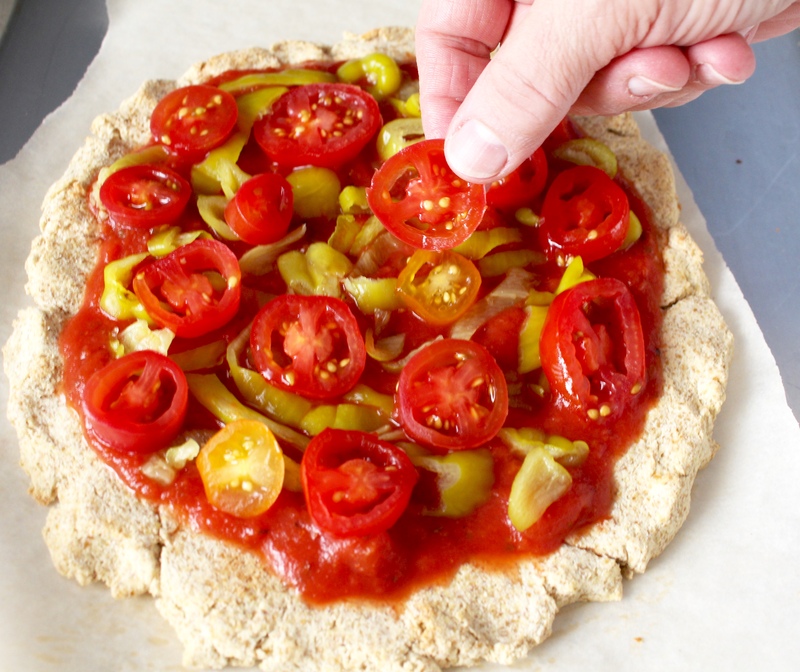 This Paleo Coconut Flour Pizza Crust is the best crust I have had. Super easy, delicious, and sturdy enough to pick up with your hands! My mom came to visit for the weekend and we had a great time. We did lots of baking and one thing I knew we had to make was pizza. I get my love of pizza from her and we usually make it whenever we’re together- this time was a little different though- it was completely paleo. She doesn’t eat paleo so I wasn’t sure how she would feel about it, but she loved it! I was pleasantly surprised. I perfected my dough recipe before she got here. 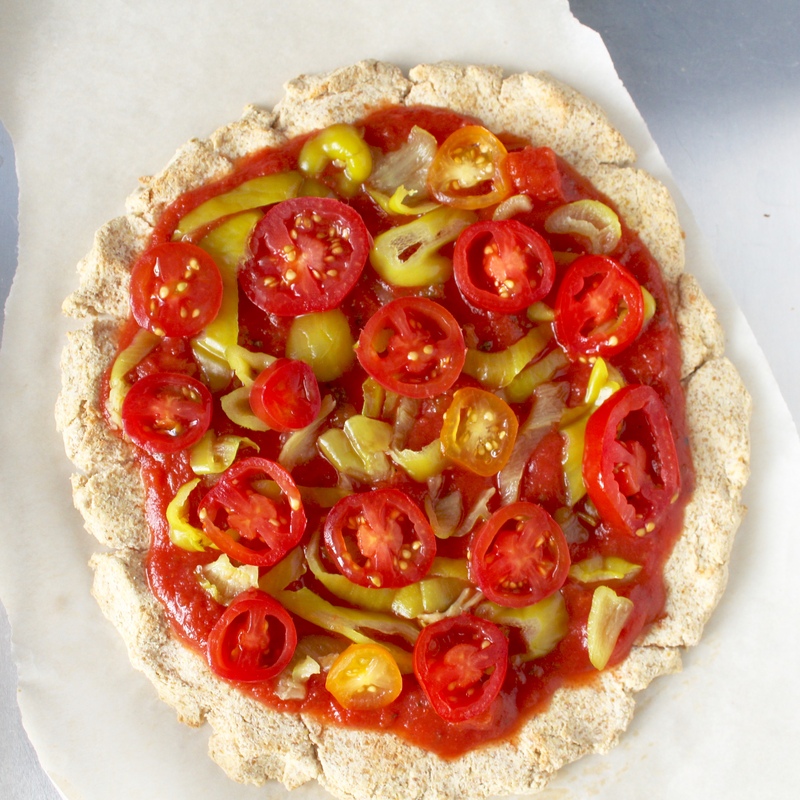 I have tried many paleo pizza crusts and they totally disappoint. They are either too time consuming, too high carb, or too delicate. I wanted something simple, hand-held, dairy free, and delicious. Many crusts use tapioca flour and I didn’t want to use that because of my husbands blood sugar issues. After a few trial and errors I had the idea of adding gelatin as a binder and it totally worked!! 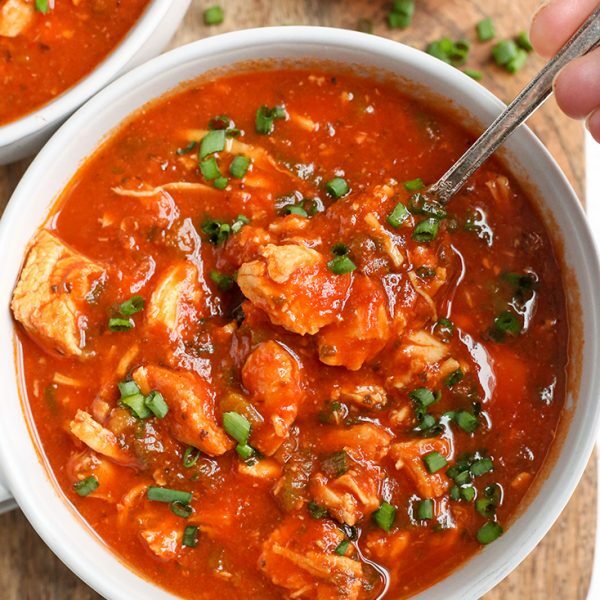 It holds it together perfectly, has the best texture, and is so easy! 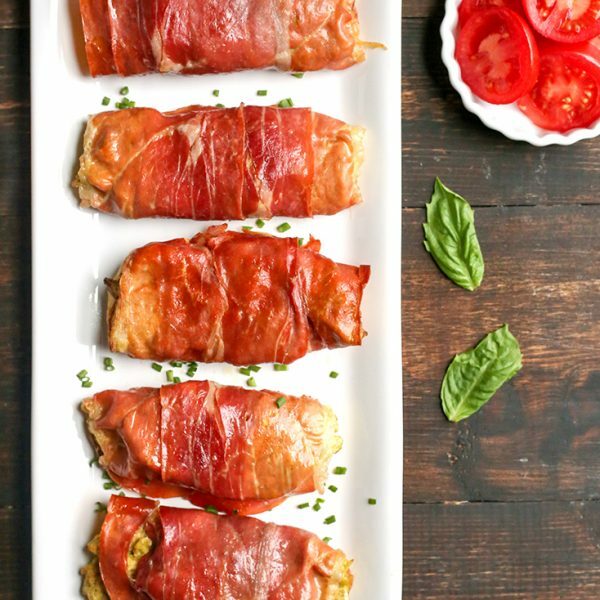 I am so excited to share this recipe because I truly believe it is the best one! I actually have this version and an almond flour version I’ll be sharing- they are similar, but too different to combine in one post. I like to use Perfect Supplements Gelatin. It’s the best price I’ve found and it’s delivered right to my door- I love it! You can use code “JAY10” to get 10% off your order. 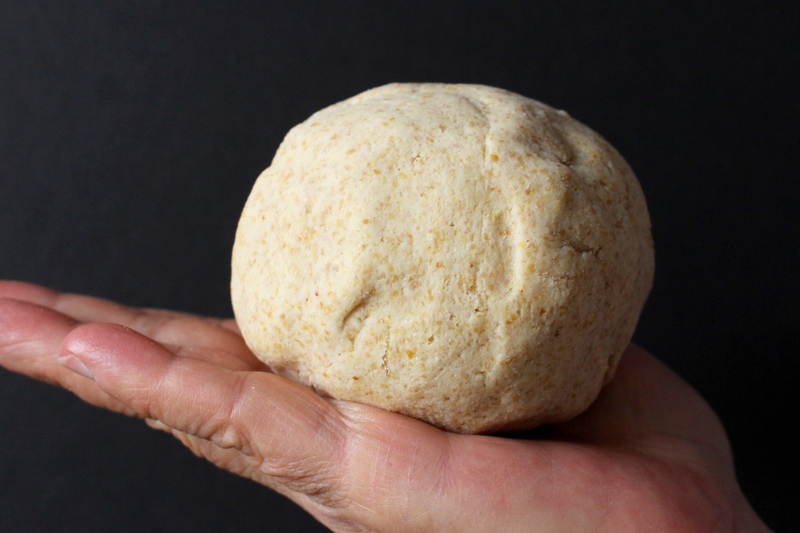 This dough comes together to form a perfect ball- I love that about it! It is so easy to work with. Also, my mom is an amazing hand model! 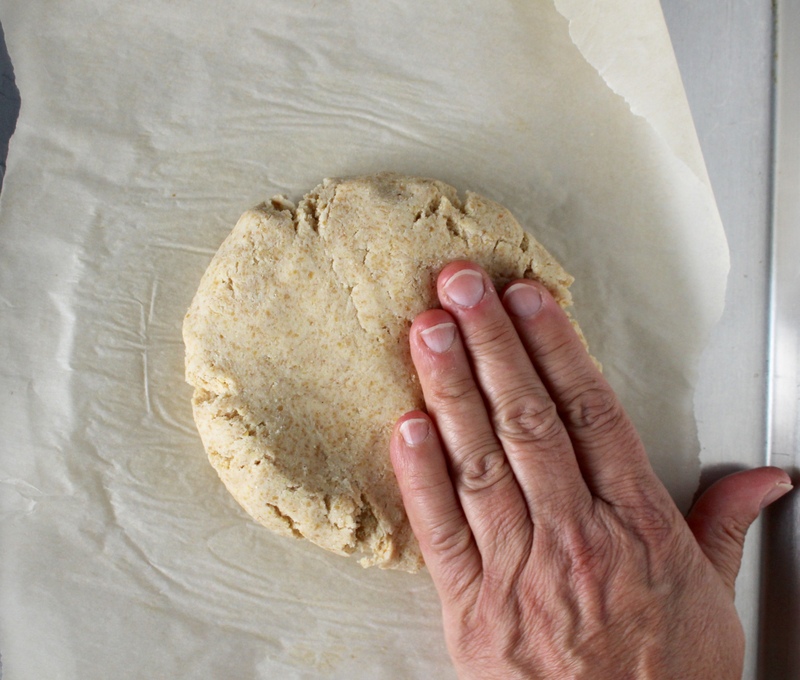 Pat the dough out on a parchment paper lined sheet tray. Try to make it the same thickness in all the areas so it cooks evenly- about 1/4 inch is what I like. Bake it for 20 minutes, then take it out and flip it over. 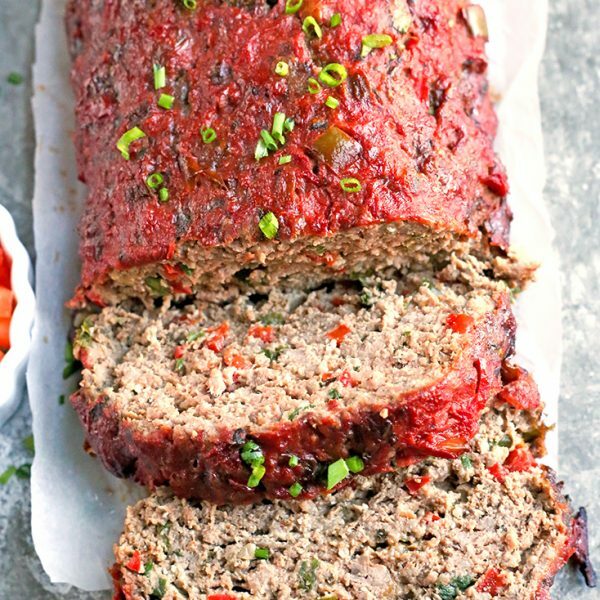 Bake for 10 more minutes then top with sauce and topping and bake for 5-10 more minutes. 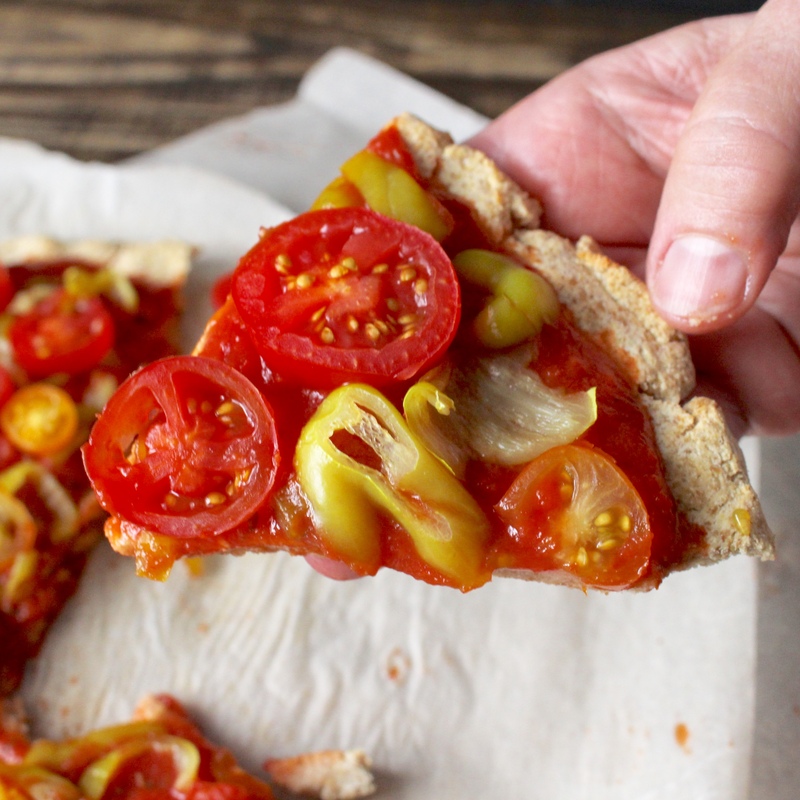 My favorite toppings are fresh tomatoes and banana peppers (all natural ones without weird added ingredients). So delicious!! And look at that! Picked up and eaten with MY HANDS!! Ok, they’re my moms hands, but still! No forks required. I should point out that this is a personal size pizza. I like to make one per person, that way everyone can put on the toppings they like. 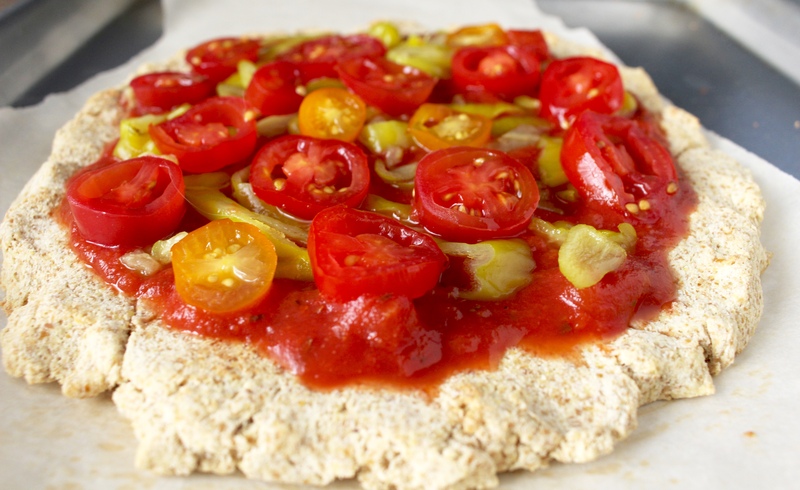 You will love this recipe because it is so quick, so delicious, and it’s PIZZA!! You know you’re excited! Preheat oven to 350° and line a sheet tray with parchment paper. 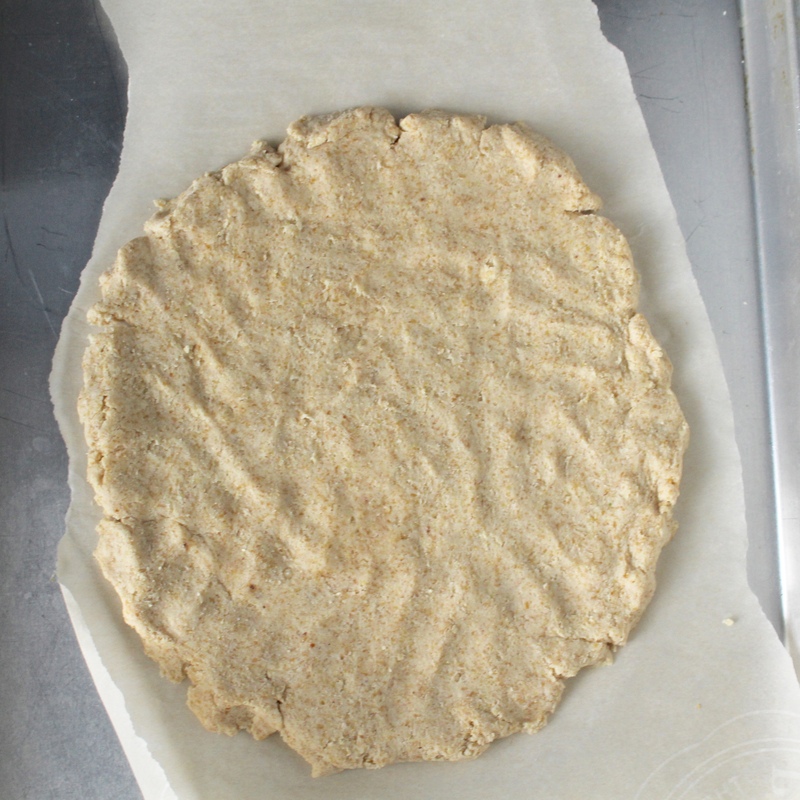 Shape into a ball and press out onto the parchment paper to about 1/4 inch thick. Make it as even as possible so it cooks evenly. Bake for 20 minutes, remove from the oven and flip, bake for 10 more minutes. 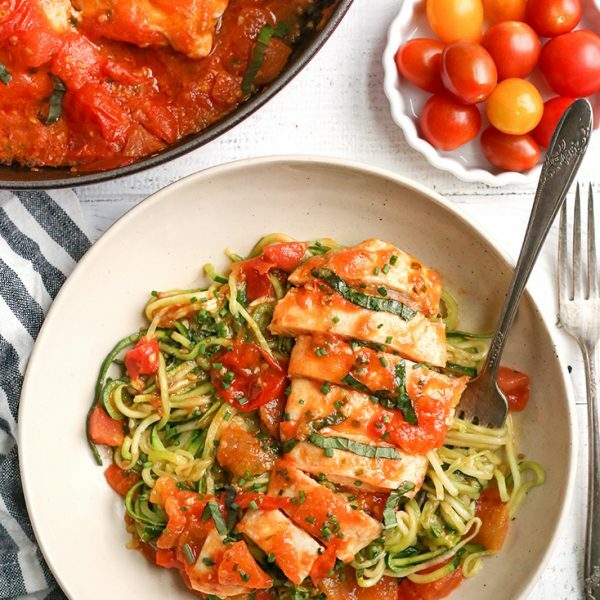 Top with sauce and desired toppings and bake for 5-10 more minutes.